To be one, to be united, is a great thing. TEACHING THIS LESSON? HERE ARE SOME TIPS. Tight on time? Stick with the 3 Key Takeaways and The Basics. These will provide your athletes with a solid foundation for understanding bullying prevention. Have more time? 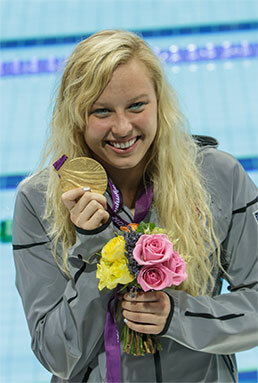 Share the TrueSport Talk and discuss how they can relate to the Olympic athlete in this lesson. Looking for more? Sign up below to explore the Downloads & Additional Resources, which include additional conversation starters and supporting materials to enrich each lesson. Bullying can be either direct or indirect. Direct bullying includes aggressive behaviors that occur in the presence of the target: name-calling, punching, humiliating, intimidating. Indirect bullying behaviors occur when the target isn’t present: spreading rumors, cyber-bullying, destruction to property. 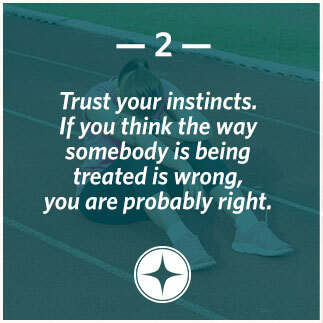 Paralympic Swimming gold medalist Jessica Long discusses how bullying is common in sports, and that when it comes to bullying, you should trust your instincts. If you think somebody is being mistreated, then you are probably right; if you witness bullying, you should tell an adult. She adds that bullies like to pick on people who are different, such as herself. Jessica was born in Russia, where she was placed in an orphanage. When she was 13 months old, she was adopted by an American family. Besides being an orphan, Jessica was also born without the lower parts of her legs. Jessica recalls a time when she was on a playground and another young girl saw her disability and started making fun of her. The girl commented that she didn’t want to “catch” what Jessica had. This hurt Jessica’s feelings, but she still grew up with a strong sense of self-confidence and the belief that everybody deserves to be treated with respect. Being a TrueSport means treating everybody with respect, having zero tolerance for bullying, and always speaking up if they see it occurring. 1. What was the main point you took away from the lesson? 2. Have you ever been in a situation like Jessica’s, where you were treated unfairly becuase you are different? 3. How can you help prevent bullying in sports and in school? Away from the computer or internet access? Grab this printable version to take with you! 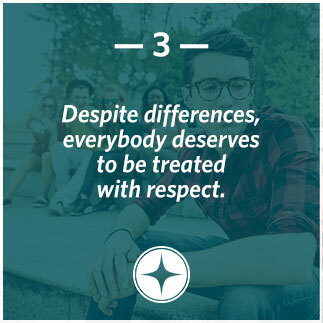 This 15-minute activity includes guided discussions to reinforce the lessons on bullying. Have your athletes put into action what they’ve learned about how to prevent bullying. Bullying Prevention Quiz (PDF) This quiz will test your athletes’ knowledge of bullying prevention (answers included). Celebrate your group’s completion of the lesson on preventing bullying with this special TrueSport Certificate handout. Sign-up to receive resources on Bullying Prevention! Want to stay up to date with TrueSport? Subscribe to our Newsletter to stay informed on the latest Nutrition updates. 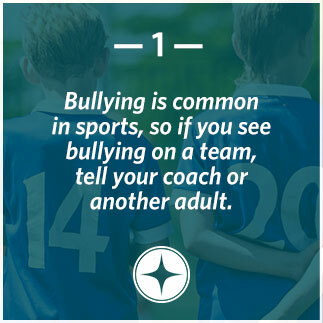 If you are a coach or parent that wants to develop well-rounded youth athletes, check out our Learn Bullying Prevention section for all the latest articles and infographics regarding Bullying Prevention. If you are a youth athlete all about competing clean, practicing good sportsmanship, and winning the right way, click here to Play some awesome TrueSport games.